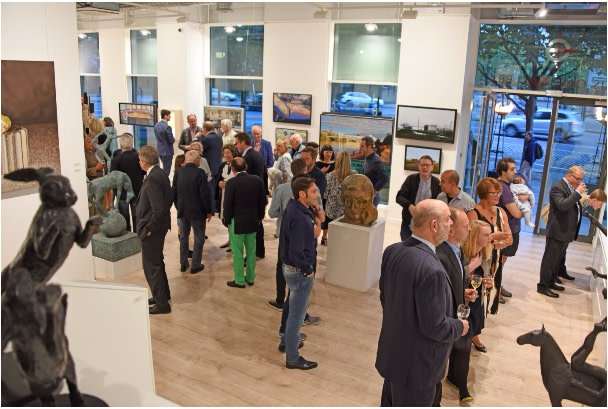 On Tuesday evening friends, colleagues, clients and artists came from far and wide to join in the celebration of our relocation to Battersea Reach. 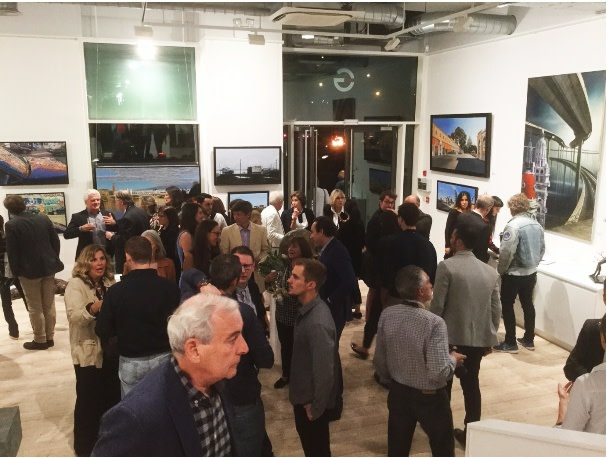 The group show contains almost 100 artworks from 45 different artists, with a rich variety of styles and genres gracing the walls of Plus One Gallery, further complementing the refined finesse of the new gallery space. The evening was a great success with many of our artist’s finally getting to meet each other for the first time and old friends reuniting. 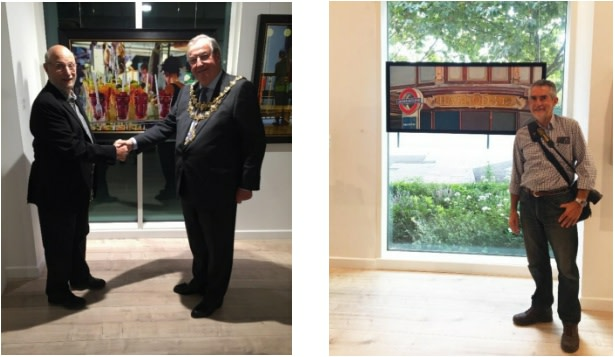 Surrounded by fantastic company and a wonderful atmosphere, the Mayor of Wandsworth Cllr Richard Field, kindly attended the event and gave Plus One Gallery a very warm welcome to Wandsworth town. The opening unveiled many new works by represented artist’s, especially made for the opening show. Works included the usual genres; still life, landscape, portraiture and sculpture. Diederick Kraaijeveld’s ‘British Pound’ received a lot of attention from the crowds. Kraaijeveld’s 130 cm in diameter wall-based sculpture represents a sterling pound coin. His artworks are made out of salvaged wood, which he sources from all over the world. From abandoned buildings to city dumpsters, the juxtaposing qualities throughout his work were a hot topic of conversation during the night’s events. Artist’s Tad Suzuki and Barry Oretsky both made the opening, all the way from Canada. 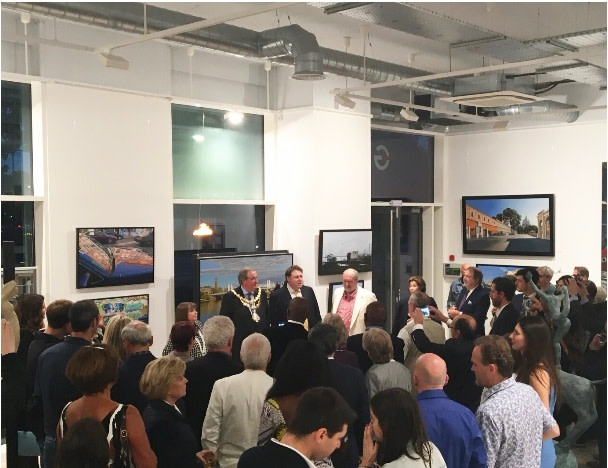 Many artist’s had their photograph taken alongside their work with the Mayor and there was an energetic and exciting buzz the whole evening. 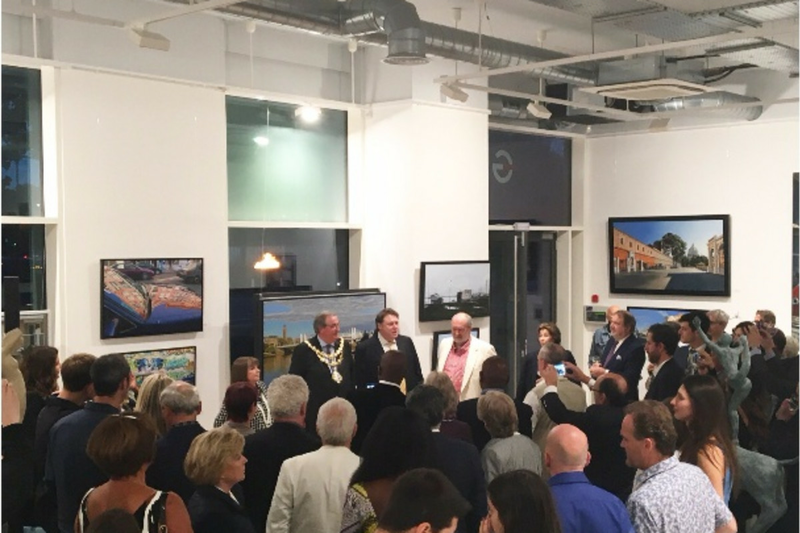 We are sure that the great success of the official opening will reflect over the future of Plus One Gallery’s move to the south and we look forward to the years to come. This group show is on display until 22nd October and is open to all visitors. 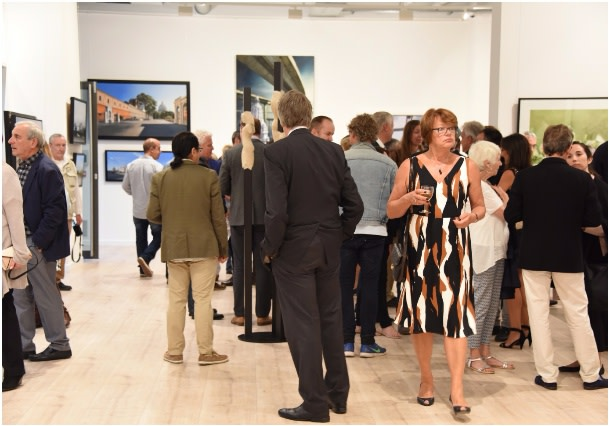 If you missed the opening night or would like to revisit the exhibition, please visit our website for directions and opening times.